Looking for Burke homes for sale? This article lets you search all properties currently available in this area of Northern Virginia. You can also view information about recent closed sales. In the right column of this page, you can search properties by subdivision. Burke is a planned community located in Fairfax County, just under 18 miles from Washington, D.C. Burke homes are popular because of the area’s scenic beauty, which offers a quiet oasis away from big city life. Burke’s setting and many amenities have garnered national attention, earning the community a spot in Money Magazine’s “Best Small Cities” list multiple times over the last ten years. Burke real estate values benefit from the strong local economy and high median income among local households. The community is situated around Burke Lake Park, which offers residents picturesque views of woods and hills, as well as the chance to take advantage of a wide variety of recreational activities. Despite being located in such a serene setting, Burke homes are conveniently located close to I-95 and I-495. For this reason, the community is a popular destination for commuters. View all Closed Sales of Burke Homes from the Past 1 Month! 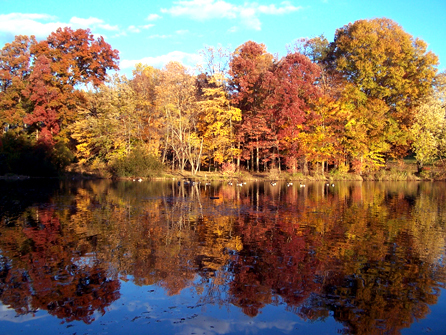 Outdoor enthusiasts make good use of Burke Lake Park’s recreational land, which covers almost 900 acres. People can find fishing and boating on the lake, as well as local campgrounds. There’s also a local golf course, numerous swimming pools and tennis courts, and several large local shopping and dining hubs, including Burke Town Center. Residents also enjoy being so close to the Potomac River for other recreational opportunities. Additionally, Wolf Trap is close by for live entertainment. Burke homes have a lot to offer Northern Virginia homebuyers. This community is not far from Washington, DC, and it also provides easy access to public transportation, as well as several major highways. This makes it a great option for anyone who works in the nation’s capital, but wants a quieter area to come home to at the end of the day. Detached, single family homes in this community typically sale for anywhere from the $400,000s to well over $1,000,000. For homebuyers who prefer smaller neighborhoods, Waverly West is a nice option. This neighborhood contains just 43 Colonial-style Burke homes built in the 1980s. In addition to a minimum of 1,300 sq. ft. of living space, the homes have spacious yards and most have a one car garage. Over the years, many have been updated, making it a great option for buyers looking for a move-in ready home. Cherry Run is another neighborhood of single family detached Burke homes that is definitely worth considering. Built in the 1970s and 1980s, Cherry Run is mainly made up of brick homes with anywhere from 1,000 sq. ft. to 3,000 sq. ft., an enclosed one car garage, and at least 3 bedrooms and 2 bathrooms. In addition to the spacious private yards, residents can take advantage of the 22-acres of common space that includes a wooded area, stream, and basketball court. Lake Braddock is yet another great neighborhood in Burke that is also home to an assortment of spacious townhomes and detached homes. Not only are there plenty of great houses to choose from, but Lake Braddock residents have access to the community owned lake, wooded common grounds, community center, tennis courts, tot lots, and pools. The Lake Braddock Community Association frequently hosts events that are designed to bring everyone together. Northern Virginia home buyers who aren’t too concerned about budget will want to look at the grand manor homes in Burke Lake Meadow. The gorgeous homes in this neighborhood tend to have well over 3,000 sq. ft. of living space, as well as yards that are ½ acre or more. Many of the luxury homes in Burke Lake Meadow have large gourmet kitchens, spa-like bathrooms, grand staircases, huge closets, and spacious decks that overlook beautiful backyards, along with plenty of small touches that make them stand apart from other homes in the area. Anyone who prefers the convenience of living in a townhome community will be pleased with the surprisingly affordable options they have in Burke. Old Mill Community is just one example. Here, most of the primarily full brick, Colonial-style townhomes have at least 1,300 sq. ft. of living space spread over three stories. Built in the 1970s, some of the townhouses have been dramatically updated and upgraded over the years, while others are perfect for buyers who want to put their personal mark on their new home. Burke Centre is another townhome (and single-family home) neighborhood with a lot to offer residents, including a location that is within walking distance of the VRE and the Burke Centre Shopping Center. In addition to spacious townhomes and private decks, the neighborhood offers access to tennis courts, basketball courts, playgrounds, common grounds, walking and bike trails, a community center, and a pool with a separate membership. The Lake Braddock neighborhood also provides potential buyers with an array of townhomes to choose from. Built in the 1970s, these Burke homes range in size from around 1,400 sq. ft. to more than 2,000 sq. ft., include at least 3 bedrooms and bathrooms, and feature a private backyard space. Some include large decks, fireplaces, and built-ins. On occasion, one of the gorgeous townhomes that offer unobstructed views of Lake Braddock will hit the market, though interested buyers will need to act fast. Anyone interested in a condo should consider Burke Cove, a garden-style condo community with more than 400 full-brick units situated on 41-acres that sits with the Burke Centre Conservancy. The affordable condos include several different floorplan options, ranging from 1-bedroom and 1-bathroom with around 632 sq. ft. of living space to 3-bedroom, 2 bathroom-units with a breakfast room. In this active condo community, residents enjoy the use of several amenities and a location that is perfectly situated for easy access to shopping centers and public transportation. With more than 5,000 homes, townhomes, and condos spread across five neighborhoods and 1,700 acres, many Burke home owners live in The Burke Conservancy, an award-winning planned community. Here, residents enjoy access to five pools, assorted fitness classes and interest groups, tennis and basketball courts, walking trails, several playgrounds, and more. This community also frequently hosts various get-togethers, including the legendary 5-day community festival. In addition, Metro buses going directly to the Pentagon Metro station make several stops in these neighborhoods, which makes it ideal for commuters who prefer not to drive. In addition to giving residents more than enough opportunities for shopping, dining, and entertainment, Burke homes are close to hundreds of acres of prime outdoor, recreational space. Additionally, Burke has excellent preschools and schools, multiple churches, a library, several historical sites, and routinely hosts holiday events and festivals designed to bring everyone together. Shopping is easy and convenient in Burke, thanks to the Burke Centre Shopping Center and Burke Town Center. Between these two locations alone, there are more than a dozen restaurants, as well as countless service providers, banks, salons, and much more. However, what sets this area apart from other nearby communities is Burke Lake Park, which has more than 800 acres of outdoor space to explore and enjoy. Here, residents of Burke homes can take full advantage of the 216-acre lake for fishing and boating, as well as the 18-hole 3 par golf course, volleyball courts, horse shoe pits, miniature golf course, amphitheater, miniature train, campgrounds, open fields, and acres and acres of hiking trails. Outside of the park, there are several tennis courts and swimming courts that provide ample opportunities for even more outdoor fun. Burke home owners can enjoy the peace and quiet of nature, while also reaping the benefits that come with living such a short distance from a major metropolitan city. Whether you are new to Burke and looking for your first home in the area or have called this community home for years and are simply interested in upgrading your current home, you’ll find lots of great options. Schedule Viewings for Burke Homes! 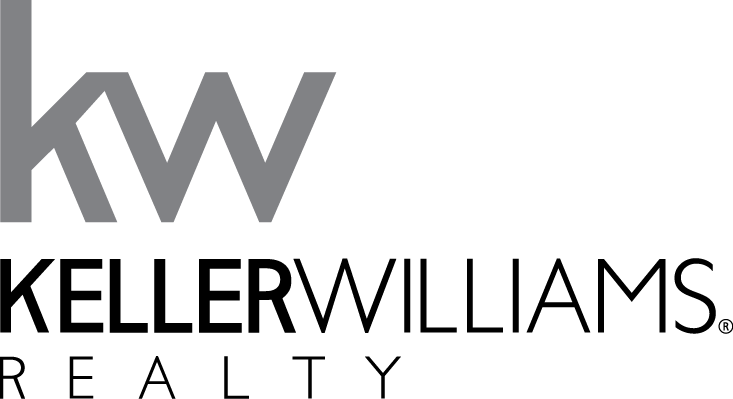 If you’re in the market for a home in Burke, call me at 703-462-0700 so I can go to work for you. I regularly maintain a current list of the “10 Best Deals on Burke Homes” that you’ll find useful as you begin your search. If you own Burke real estate and are thinking of selling, or maybe you’re just curious about how much it’s worth, give me a call at 703-462-0700. I’ll do a free market analysis for you that will give you a good idea of its current value.